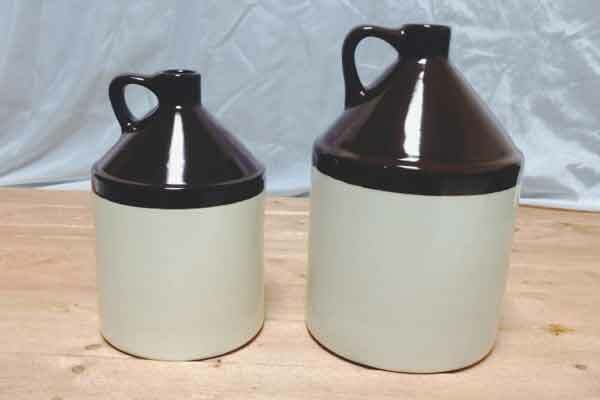 1/2 Gallon Jug measures - Diameter 5" Height 8"
1 Gallon Jug measures - Diameter 6 1/4" Height 9"
These stoneware jugs are reminiscent of the moonshine jugs of time's past. 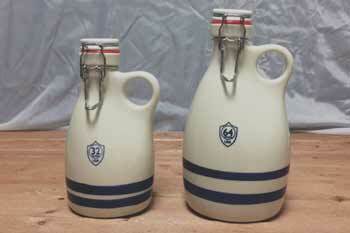 Made in the USA these whiskey jug are not only decorative but also functional. Use one of these jugs for a fun decanter that will be a great conversation piece. 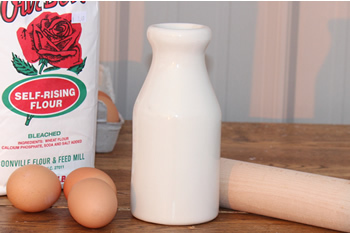 Made with lead free glazes that make these moonshine jugs microwave, oven and dishwasher safe. Don't settle for cheap unsafe knock off imported ceramic jugs when you can have these quality pieces that will stand the test of time that are proudly made in Zanesville, Ohio.